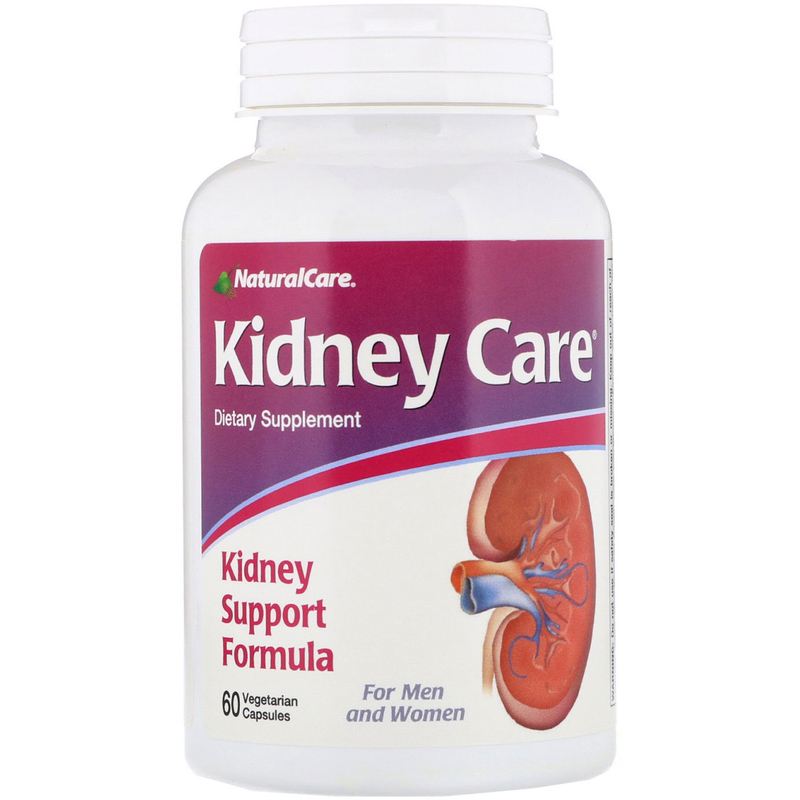 Your kidneys are vital, bean-shaped organs that keep your blood clean and chemically balanced, regulate the amount of fluid in your body, help to control blood pressure, and also produce hormones that are important for blood and bone formation. They are located near the middle of your back, just below the rib cage. The kidneys process about 200 quarts of blood a day to filter out approximately two quarts of waste and extra water. This becomes urine which flows to the bladder to be stored until it can be eliminated. If the kidneys did not filter the blood, waste could build up and be destructive to the body. 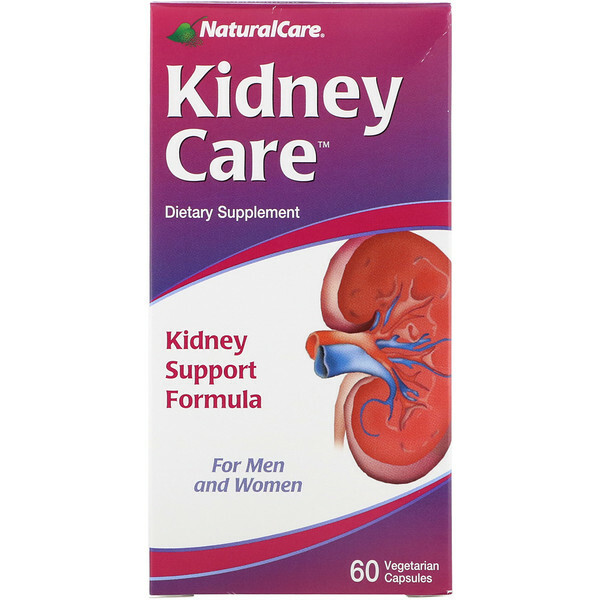 Maintaining healthy kidneys is essential to good health. Tiny units in the kidneys call nephrons act as filters and facilitate a complicated chemical exchange as waste and water leave the blood. After filtering, the kidneys measure out and release back into the bloodstream essential chemicals like phosphorus, potassium, and sodium. In this way, the kidneys regulate and balance the body's levels of these substances, which is necessary for the overall healthy function of the entire system. Check with your health professional if you feel you might be experiencing a problem with your kidneys. Use only as directed. 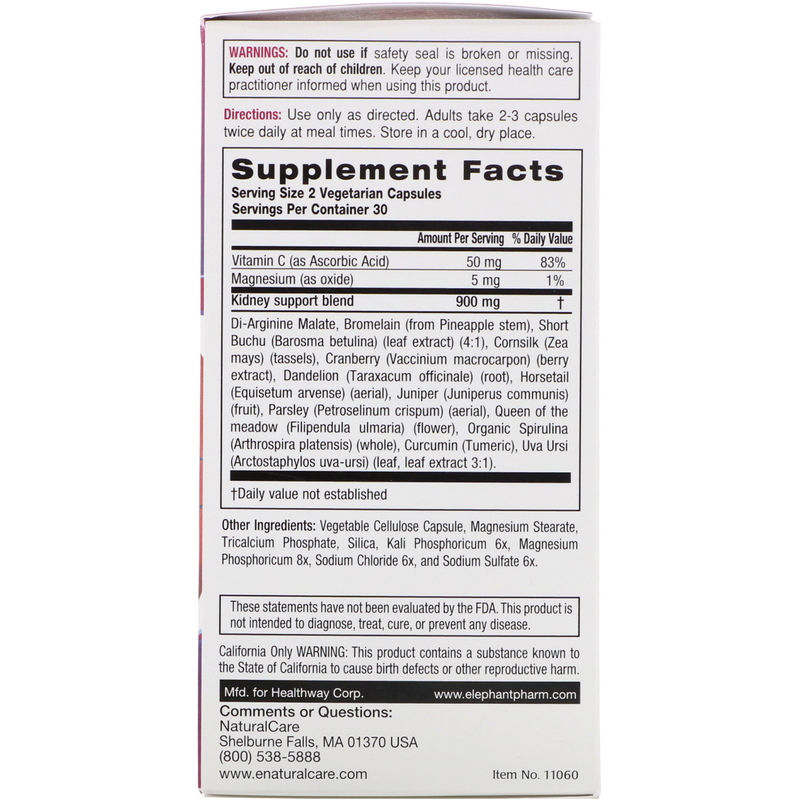 Adults take 2-3 capsules twice daily at meal times. Vegetable cellulose capsule, magnesium stearate, tricalcium phosphate, silica, kali phosphoricum 6x, magnesium phosphoricum 8x, sodium chloride 6x, and sodium sulfate 6x.